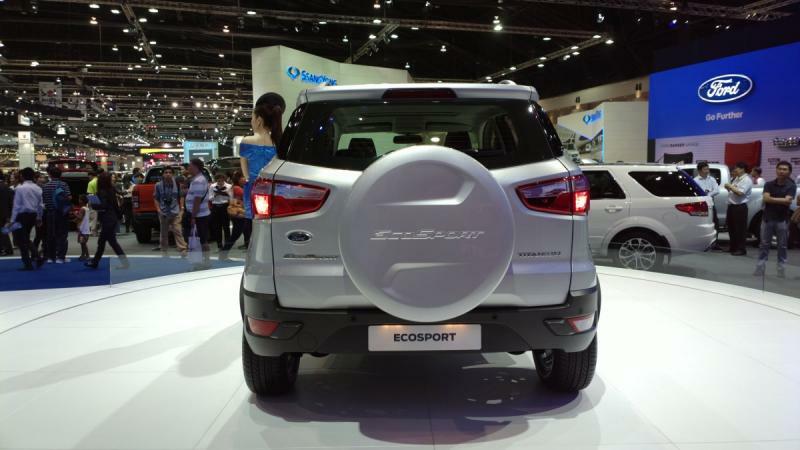 The 2013 Ford EcoSport is actually the second generation of the EcoSport name. However, while the first generation was limited to some developing markets from 2003 to the present, this new model is to be a global car. This follows the trend at Ford, with the current Fiesta and Focus models both being produced as global vehicles. The car was launched in Brazil in July 2012, following the showcasing of the concept in January 2012 at the New Delhi Auto Expo. 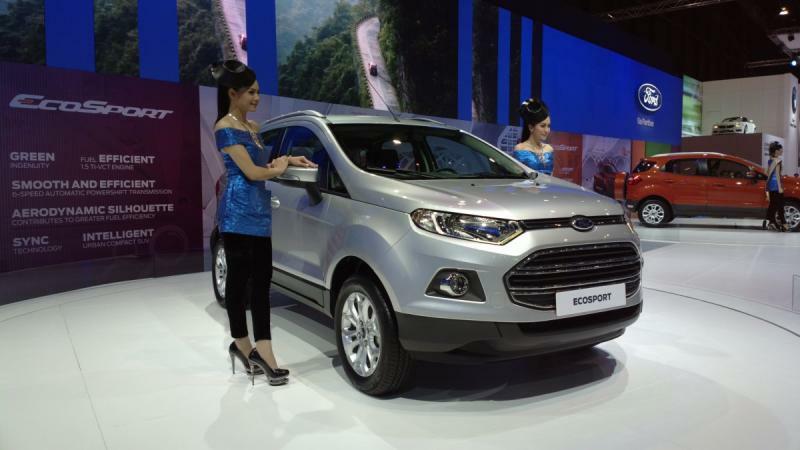 The 2013 EcoSport is based on the Fiesta platform. 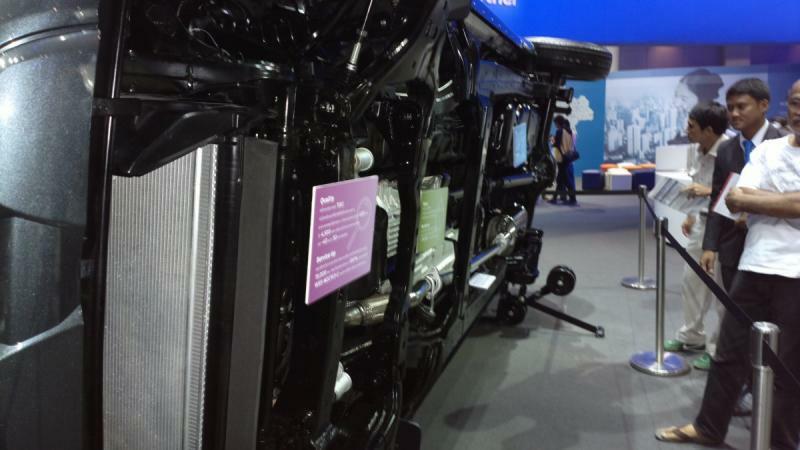 Details are still unclear as to exactly what engines Thailand will get, but we can expect the car to share engines with the Fiesta, possibly including the new EcoBoost, Fords advanced 1.0-litre, 3 cylinder, turbo engine that Ford has been putting in pretty much everything from the Fiesta, to the Focus, right up to the Mondeo! 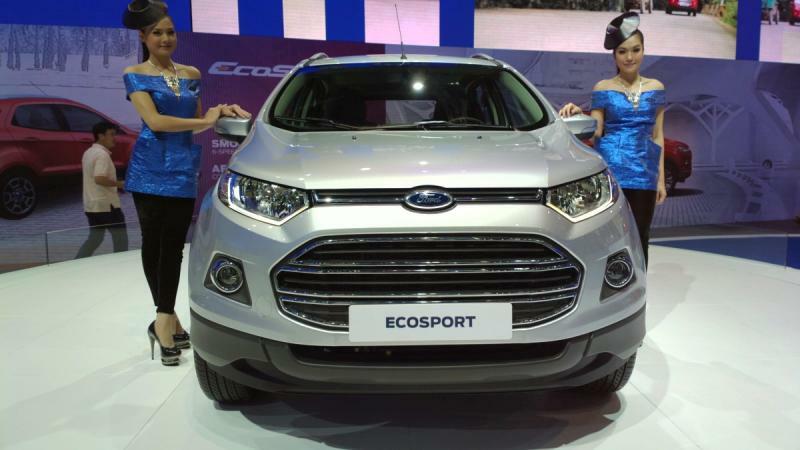 In the EcoSport, this engine would be just fine for city driving, with 101PS, 120PS and 125PS variants available for Ford to choose. These sort of power figures are comparable to those of 1.6 L engines, so it is understandable that they have managed to use this tiny engine in large cars. 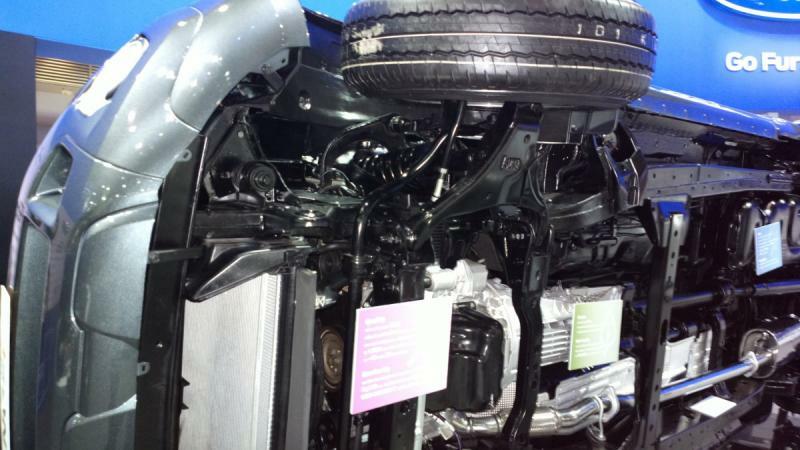 Alternatives could include a 1.5 TDCi diesel, but Ford seems to have taken a step back from diesel cars in Thailand. 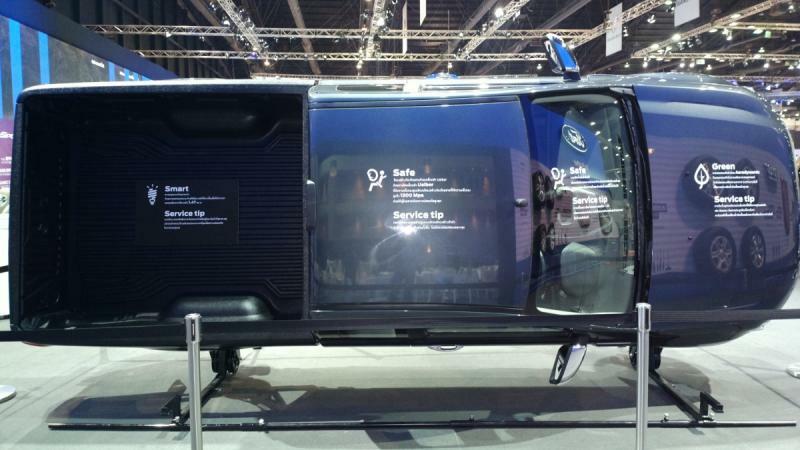 The car was generating quite a bit of interest, but Ford was not showing full production models, and was not allowing visitors full access to the cars. 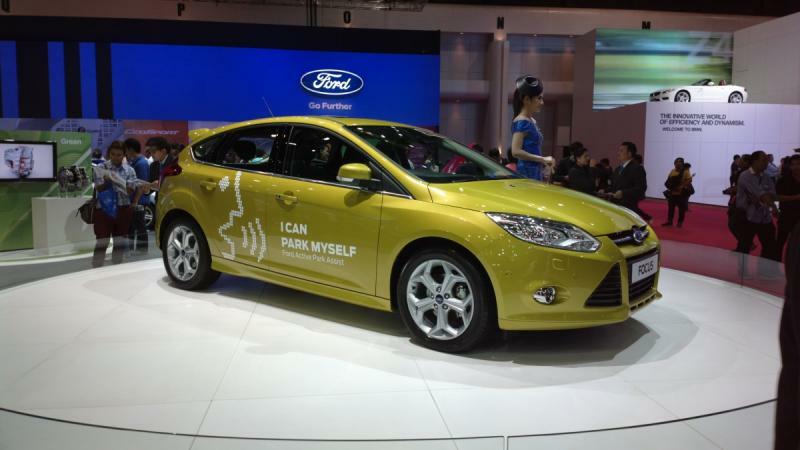 The Focus is now available with self-parking functionality, and this is what Ford was focusing (sorry) on at the show. Given that the Fiesta has reached mid-life and has been face lifted in Europe already, I was slightly disappointed to find that there was no sign of the refresh here in Thailand. Instead Ford was pushing the Fiesta with 0% instalments, presumably in an effort to make room for the new refresh in the coming months. 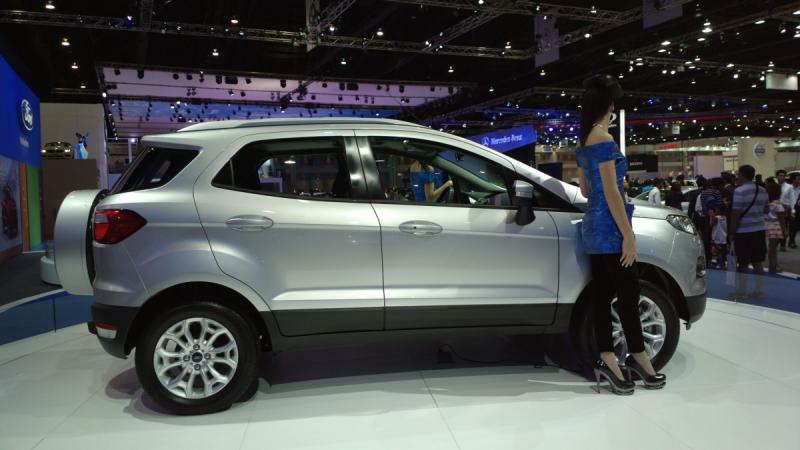 Ford's display was quite impressive, and it is clear that they are on the rise in Thailand. The Ranger is proving popular in the all-important truck segment, the Focus is holding its own in the C-segment, and the little Fiesta is also winning friends. 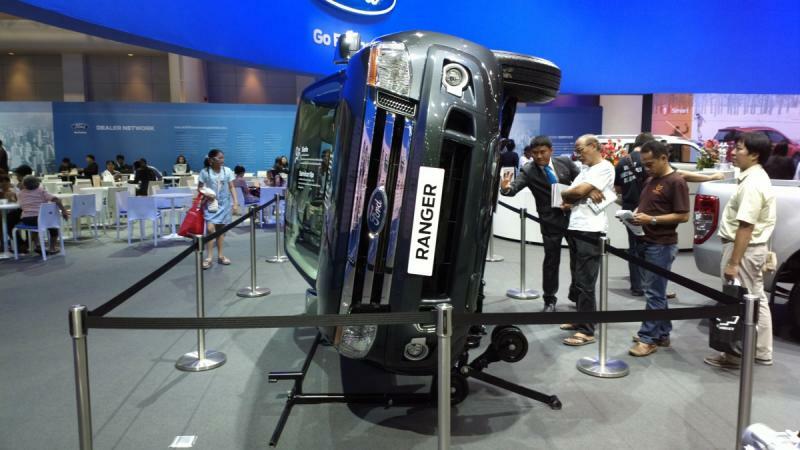 I would have needed to join a queue to sit in a Ranger, so I suppose Ford are doing pretty well.